For the past year and a half I have been training Brazilian Jiu-Jitsu. It has already been a life changing journey. I just recently returned from a trip to Brazil with my coach Romulo Melo and other teammates from the gym. The trip was an incredible experience. I got to combine multiple passions of mine into one experience. 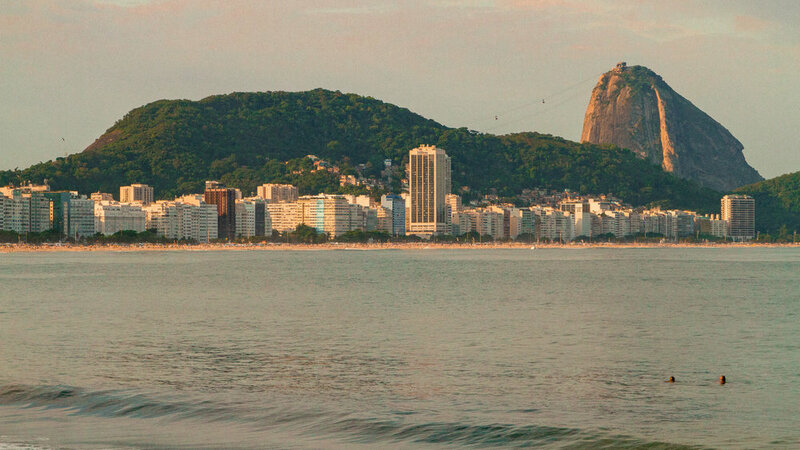 Training Jiu-Jitsu in the evenings at Gracie Tijuca left us the daytime to explore the beautiful city of Rio and capture landscape photographs of it stunning landscapes. My favorite views of the city came from the top of Sugar Loaf. 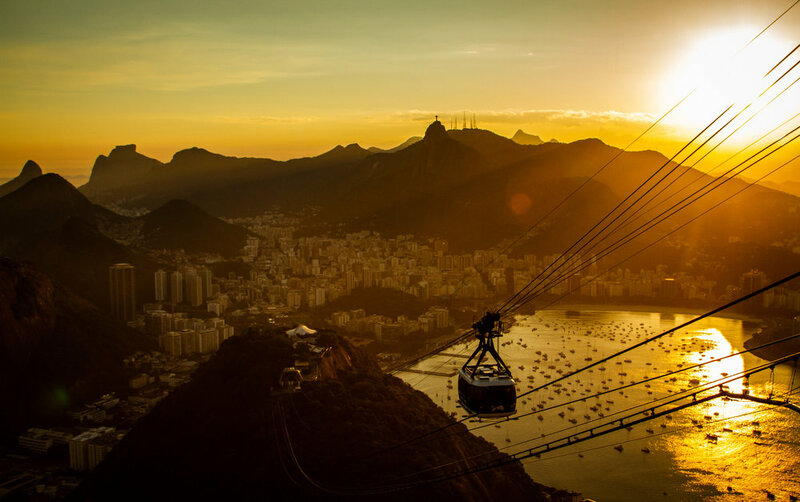 At 1,299 feet tall it is the perfect place to view the city at sunset. Looking west you can see the city tucked into the mountains and the famous beaches and ocean and of course standing tall above the city is the world famous Christ the Redeemer statue! I always find that certain places are too spectacular to capture in a single photograph. In these cases it becomes time to stitch together a panoramic photograph. This past January I was in Yosemite Valley early in the morning trying to capture some great shots. I started up at the Tunnel View but the fog was to thick for anything to be seen clearly. I decided to drive back down into the valley and give the sun a little more time to rise. While driving through the valley the sun began to burn away the fog, making it look like the mountains where steaming. The effect was incredible and I feel this shot does a good job of capturing the morning magic! Last Wednesday I shot another event. This time it was about using sales compensation as a growth accelerant. The conversation was very interesting, it is always nice to be able to learn on the job. For the third year in a row, I had the opportunity to photograph the Pre-Crunchies cocktail party for Menlo Ventures. It was a great event and always exciting to hear about the crazy new ideas people have. Really excited to have a wedding that Torrey & I photographed on Maui's Angels website. It was an amazing opportunity to travel to a beautiful place and share an amazing week with this awesome couple! Had a blast getting up this morning and shooting sunrise from the Bayshore area of San Francisco, right by where Candlestick used to be. Always a pleasure to get up early and be treated to a beautiful sunrise when you wake up early! They are trying to help students get seen and change the way kids apply to college! I have been working with them closely for the past year and the passion and energy they have is truly exciting. Cannot wait to see what they have in store for 2016 and the future! Friday morning during the trip was really special. The morning started out foggy & cold but as the sun came up it began to burn away the fog making it look like steam was burning away on the mountains. I hope everyone enjoys the pictures as much as I did taking them. After a great trip home to New York City for the holidays. It is great to be back in San Francisco shooting sunsets again!! This is a video from an amazing company ZeeMee their mission is to help students get SEEN! Very excited to see my friend Jacqueline Flaherty's new website launch!! It was a blast working with her on the photographs and really excited with how her site turned out!!! Work featured in WSJ Web Edition Today! Scoop.it Content Director just went live. Just had the latest video go live! Great time shooting with Khepera Batties & the team from Scoop.it!